It is now the season to give thanks. Maybe you should thank yourself or a loved one with the gift of a mobile toolbox. 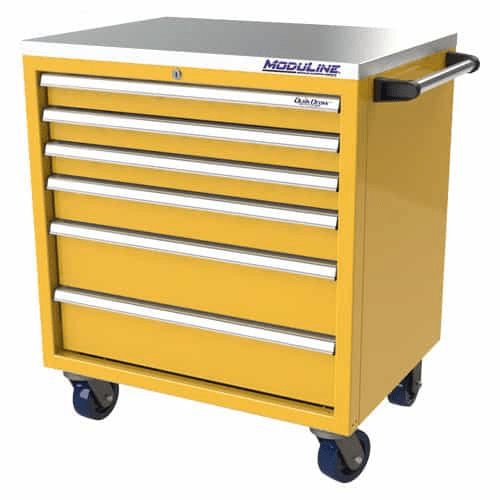 Mobile toolbox organization is an excellent addition to any garage or storage area and can safely organize and protect tools and invested items. Here’s a few ways how our mobile toolboxes make life easier. 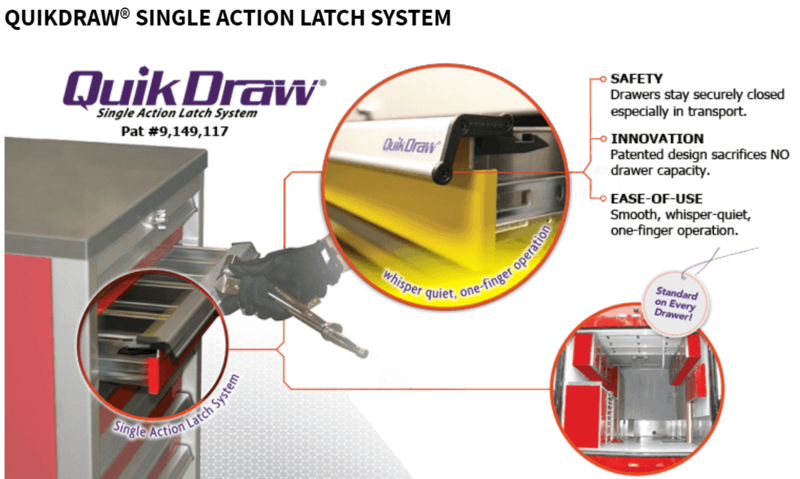 Moduline’s revolutionary Quickdraw™ Single Action Latch System makes drawers easy to open singlehandedly. It also secures and safely keeps cabinet drawers closed. 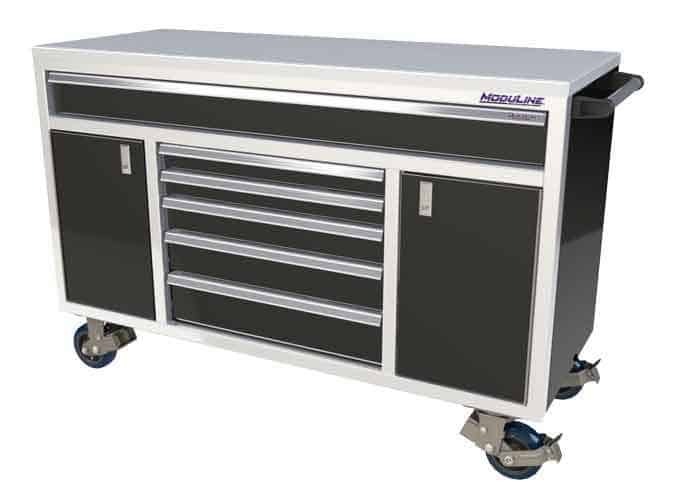 We offer some of the best lightweight aluminum mobile toolboxes on the market and they are all made in the U.S.A. Our mobile toolboxes feature heavy duty locking casters, a stainless-steel top, and other accessories like aluminum drawer dividers, plastic storage bins, and workbench mat. Moduline constructs durable lightweight aluminum alloy that not only look better than many products out there, but are lifetime guaranteed. Be sure to contact us for your garage and mobile storage layout plan and to get started with a toolbox. Our representatives will happily assist you with any inquiries you have at 888-343-4463 or click the link to get started.